The World Wildlife Fund just came out with a report showing that we have lost half of the numbers of wild species on this earth in the last 40 years alone. 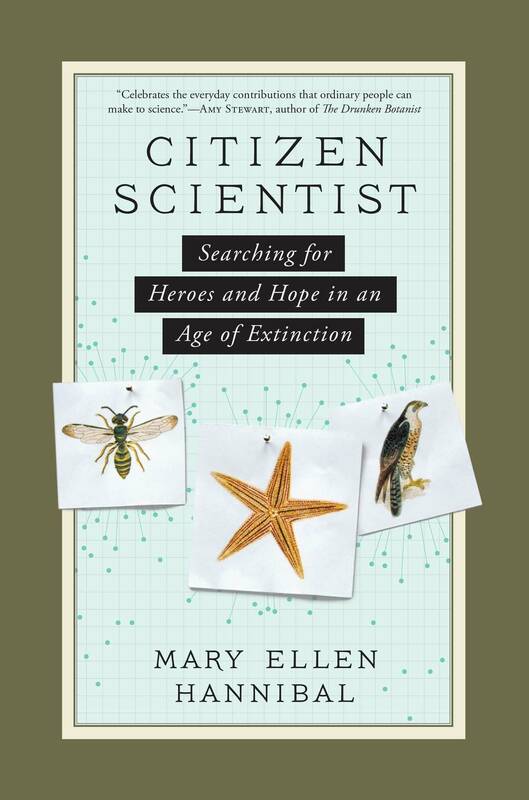 Mary Ellen Hannibal, author of "Citizen Scientist: Searching for Heroes and Hope in an Age of Extinction," said that one of the planet's greatest hopes for survival is a growing league of "citizen scientists." That's a general term for regular people without advanced degrees who contribute to scientific research. 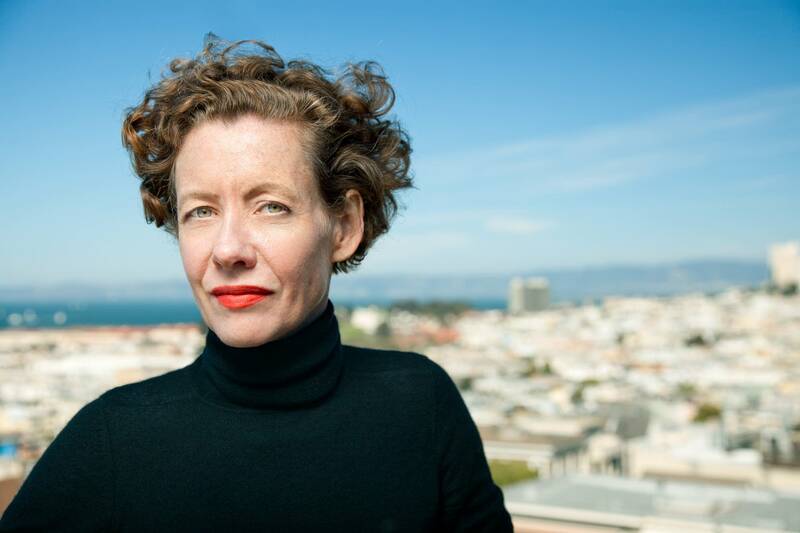 "It's important to think of extinction as visions of the polar bear on the ice flow, or African elephants being hunted to extinction for their ivory," she said. "But just as important are losing numbers of species in our own backyards. The number of birds migrating overhead, the number of butterflies migrating through are being vastly reduced by human impacts." Citizen scientists have a long and celebrated history, going all the way back to Aristotle, da Vinci and Darwin. They all made important observations about the natural world in areas outside their educations. Today's citizen scientists are turbo-charged by smartphone technology, Hannibal said. "Basically, what we're trying to do is mob-source data collection distribution and abundance on the landscape, so we can get a good picture of patterns of what's happening to species as the climate is changing and help support them and help stem the sixth mass extinction that is currently underway." That's right: According to Hannibal, the sixth mass extinction is taking place right now. However, it may be possible to slow or reverse such catastrophic changes, if we all pitch in. That means sending in observations from our own backyards, wherever they happen to be. Hannibal said the collective brainpower and data gathered from legions of everyday citizen scientists is critical to combating climate change and understanding natural global events, because all this information would take colossal amounts of time and money to gather through other methods. There are different kinds of citizen science, and one of Hannibal's favorites is called "extreme citizen science." It fundamentally asks what science is, who gets to do it and what it's for. Indigenous tribal people all over the world are doing extreme citizen science projects. You too can become a citizen scientist, no matter what your favorite subject is. You can help with scientific studies on bees, butterflies, dogs, water quality or outer space. You name the subject. Institutions like Yale, Stanford, Cornell, the Smithsonian, NASA, the National Weather Service, the National Ocean Service and the Audubon society all need citizen scientists. Hannibal said she recommends the free iNaturalist app and a website called Scistarter that connects everyday people to science projects around the world. "I find quite a lot of heroes, and mostly they're regular people, who are attuned to supporting nature in whatever way they can," she said. "People who see what needs to be done and are doing it. I think the important thing to understand is, we are all heroes. We are all on a heroic journey, that's part of our life history. It's in our power to put this into our daily life to help support nature. Let's keep the world beautiful, let's support it and keep it and not lose it." Hannibal's book, "Citizen Scientist," provides a rich education on how you can become a citizen scientist — and in Hannibal's eyes, an essential element to saving our planet.